No matter how a overtime defeat goes down, it is going to be painful. To have it happen on another Manning interception is just adding insult to injury. 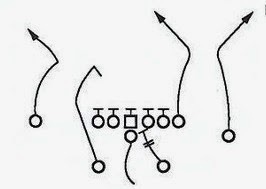 Manning was peppering the left side of the field with one short pass after another to bring the Colts back to tie the game, but threw one too many over there and got the last one picked. A fine effort by the defense in the 2nd half was wasted by the offensive miscues. A returning Gary Brackett had a fine game at MLB and the interior defensive line played well, lead by the steadily improving Fili Moala. The running game was merely useless this week, much improved from the futile effort against the Chargers. Both James and Hart had a few positive runs to break the trend of short losses on running plays. I expect things to get better next week with the return of Austin Collie from the head injury caused by the dirty hit by Patriots SS Rodney Hariweather. Great blog. Very insightful. Do you mind telling me how to subscribe to your blog via gmail reader?